Mercia 2 x 4 Shiplap Apex Sentry Storage Box: The Mercia apex sentry storage box comes in this tall design, ideal for keeping higher garden tools or sports equipment. The 2 x 4 sentry box features a functional design which would be ideal in any size garden and at an reasonable price. 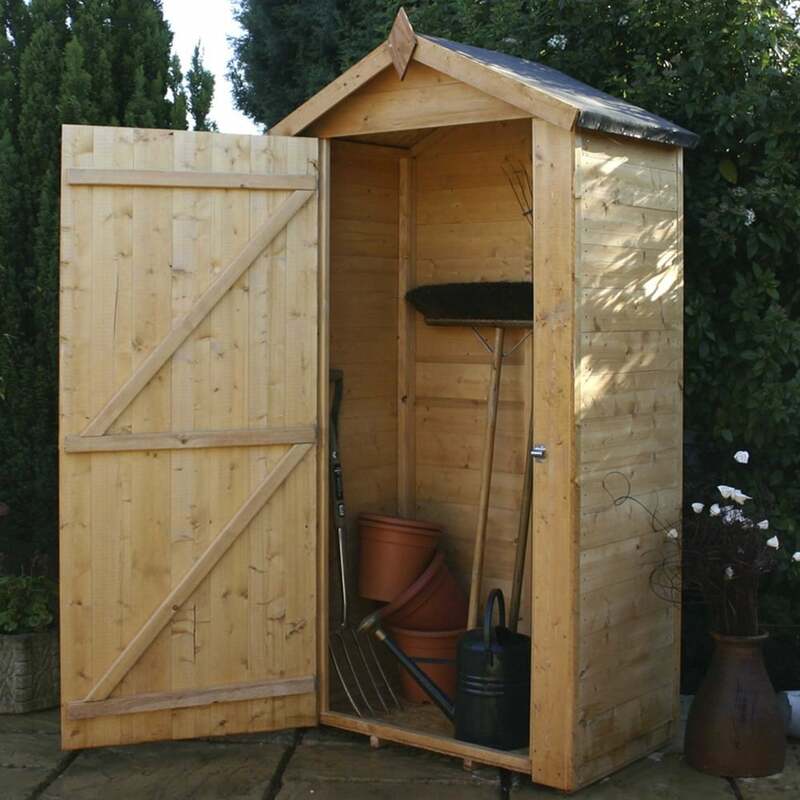 The 2 x 4 garden wooden unit has a single door which has been braced for added support and includes a pad-bolt for extra security. The shiplap storage box is built using 12mm tongue and groove cladding, 8mm solid sheet board roof and 10mm solid sheet board floor for an overall sturdy building.